Picture Menu is comprised of New York based curators/artists, Michael Kennedy Costa, Rachel LaBine, and Keith J. Varadi. The exhibition, ‘Elastic de facto’ features the works of four artists: Benjamin Bellas, Victoria Fu, Vlad Smolkin, and Brad Troemel. Each work is continuously rearranged within the gallery space in LA and photographed in detail of the changes by Rachel LaBine. They are then emailed to Michael Kennedy Costa and Keith Varadi in New York. They respond to the images and post them on the Picture Menu site in a loose narrative. Fittingly, we communicated with the the curators via email about the challenges of the show and constant reexamination of the relationships between the works. 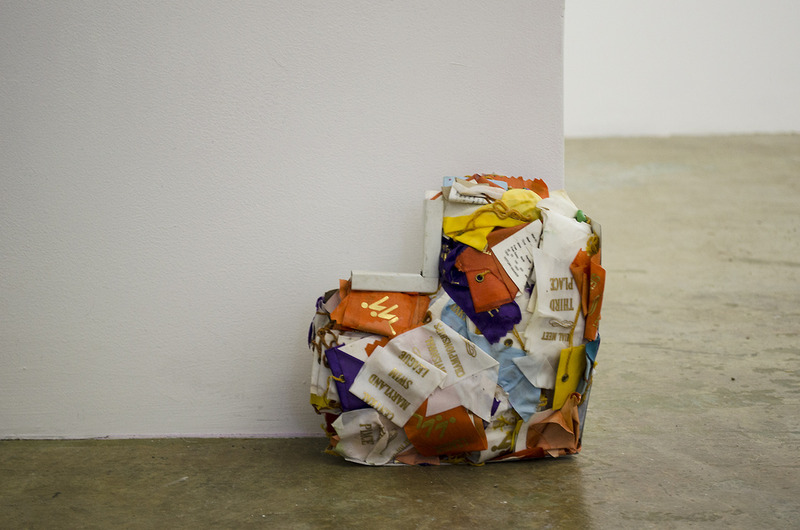 ‘Elastic de Facto’ is on view at Carter & Citizen until August 17th. However, the images can be viewed on Picture Menu’s website at any time. F: How did the idea for the show come about? PM: Elastic de facto developed from conversations between the three of us about how to approach the inherent problems associated with any attempt at articulation through the configuration or organization of artworks. These discussions began to broach themes of fluidity between documentation and art space, the cache and compilation of images and texts online, the question of whether the primary site of a show is physical or web-based, and the question of how time and a kind of “second guessing” or attention to second, third, fourth, thoughts might elucidate artworks. 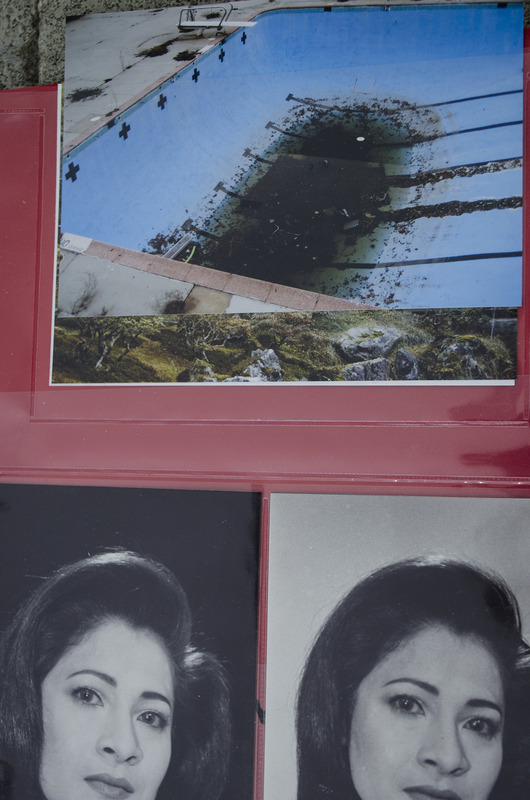 F: The documentation of the the work seems to be as important as the changes within the work. It acts as another level of curation. 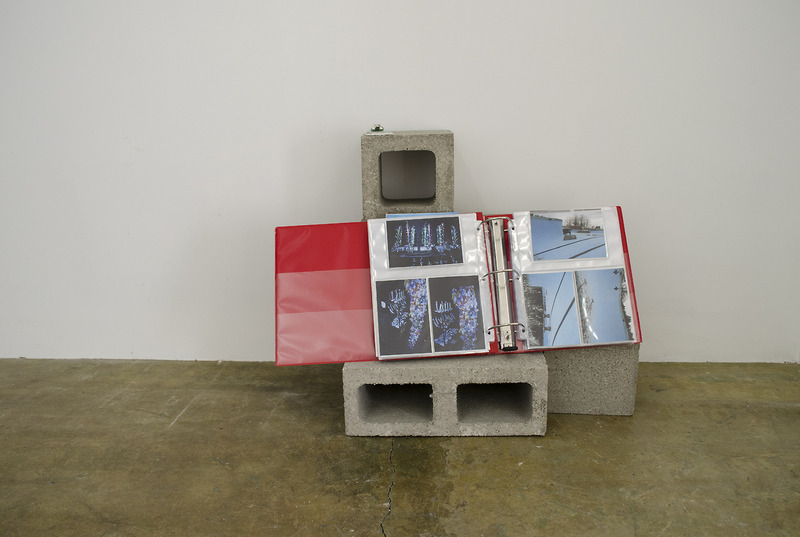 Can more than one work be manufactured with the same object through placement/documentation? 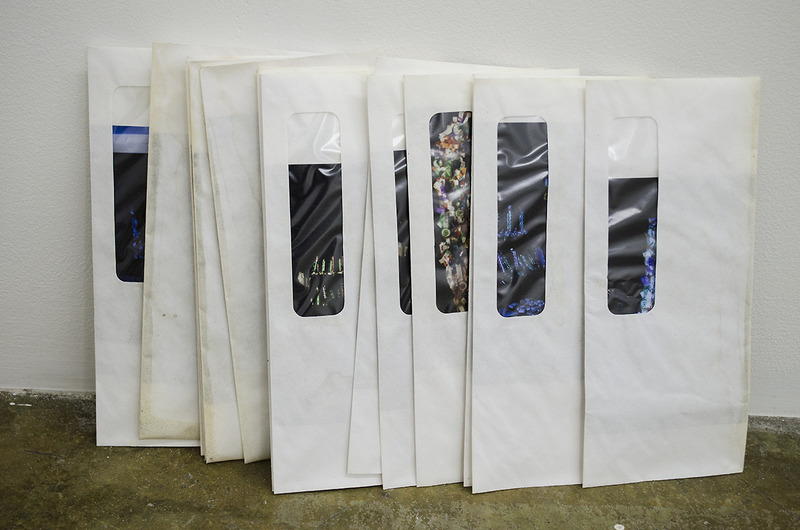 PM: Presentation and documentation were always crucial to our previous Picture Menu projects and were heavily considered, but the shows up to this point were all either one-person or two-person shows that focused more on the individual artist’s objectives or possible connections between the two, and were mostly only open for one night. This project at Carter & Citizen was not bound by the same brevity and we saw it as an opportunity to continue to consider the relationship of presentation and documentation more carefully and closely, along with exploring some different questions. PM: We also knew that not all three of us would be able to spend the entire month outside of New York, and the difference in location became a topic of conversation. Eventually, this led us to fully and openly negotiate how the documentation of the show could become an even more important and active element. The fact that the physical location was decidedly more concrete yet our relationship as a group to this place was more temporal became a defining element of the exhibition and our means to staging it. 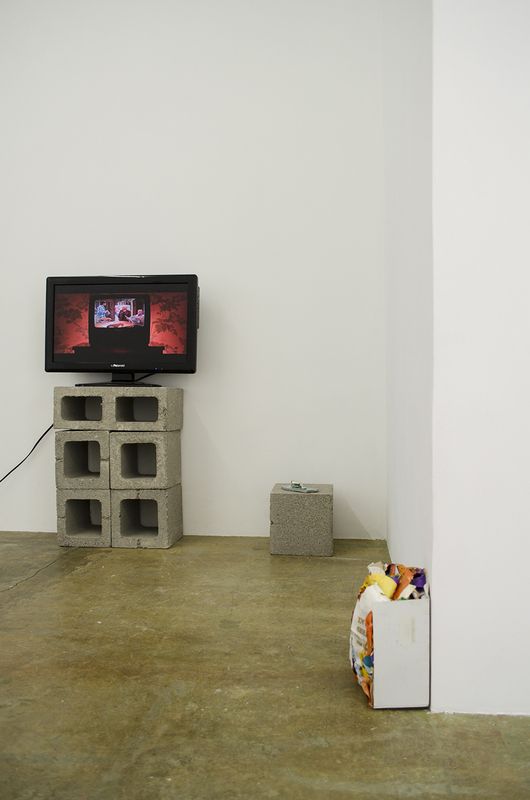 PM: The show is a performative approach to curating, or a curatorial approach to performance. The act of documenting is part of the performance, in which the amount of mediation and assumptions behind presentation become blurred, along with the typical separation between images of the show and images in the show. Documentation of the work, at times, becomes the work itself. F: Are you just as invested in how the space changes online as well as in the physical space? PM: All three of us democratically set up the initial iteration of the show for the opening; but as you know, the plan from the outset was for Rachel to stay in Los Angeles throughout the duration of the show. Therefore, she is choreographing the show on-site and Michael and Keith are making observations, suggestions, and writing other, more poetic, responsive texts. Rachel is then posting excerpts of these texts online, often after editing and splicing them together in surprising ways that sometimes counter their original meaning. The correspondence is integral to the development and progress of the exhibition and the three of us are all simultaneously experiencing it as participants and observers, which is quite exciting to us. 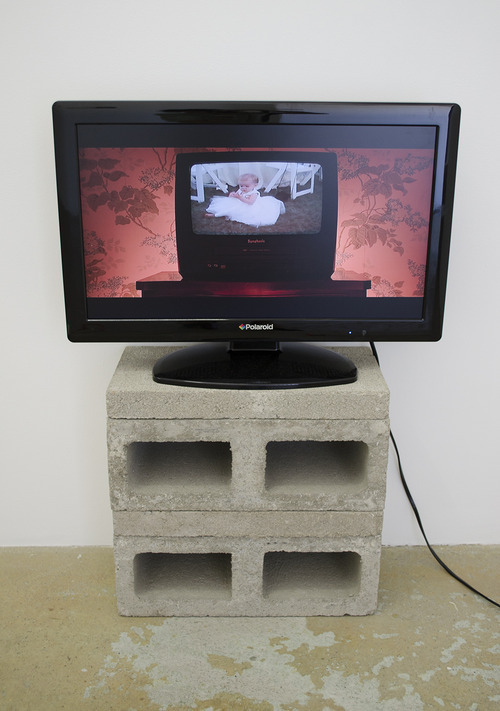 F: Is viewing it online on par with viewing the work in the physical space? PM: We are all three artists, acting as curators in this instance; the question of separating these two roles is central to the exhibition. 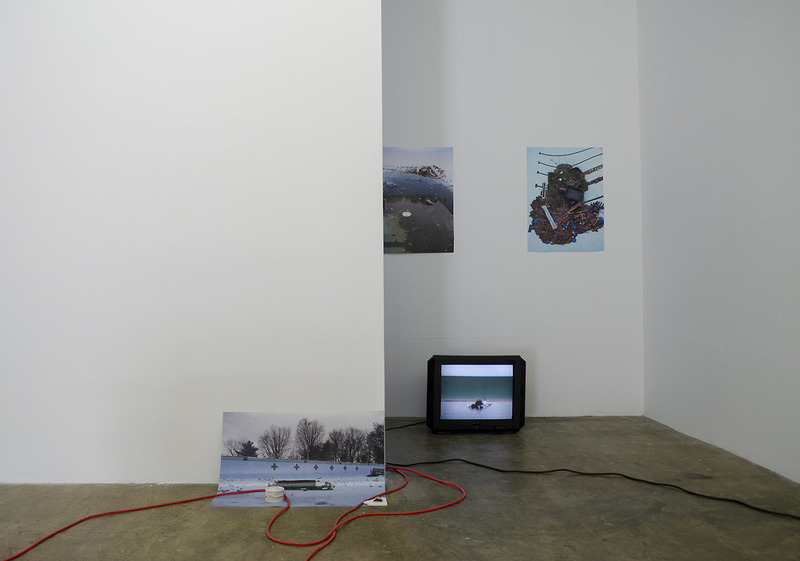 Additionally, we each recognize a current divisiveness between certain camps’ adherence to the exhibition space or allegiance to digital representation. We find such hard lines drawn to be problematic distractions and instead seek to conflate and contradict the two in order to try to focus on the relationships between artist, artwork, and art viewer. PM: Having said that, when selecting the works we did, we wanted to have a diverse grouping of artists and artworks to cull from and recycle in order to mold the show, while complicating the framework and challenging ourselves and our viewers. Since we purposely set out to not have a direct, didactic theme, but rather one that was more malleable (hence the title), this allowed us (as well as the artists) to have some freedom and fun. What is originally embedded in any given work will likely always remain to some degree, but the way in which it was perceived on opening night hopefully can and will be open to new interpretations on day 4, 7, 12, or 18. 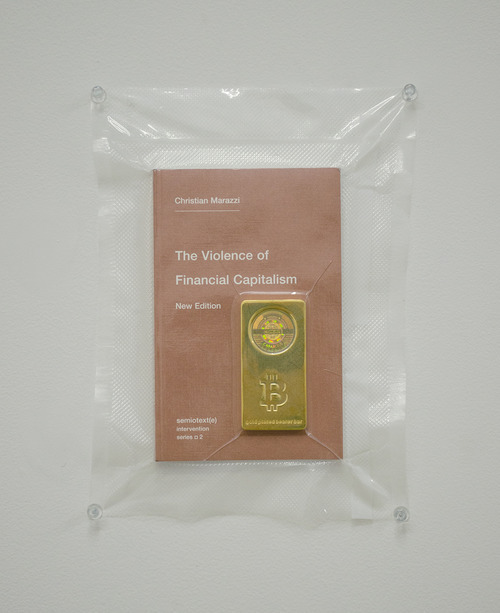 F: There’s a great deal of humor in each of the works from Brad Troemel’s vacuum sealed bitcon with the book The Violence of Financial Capitalism to Benjamin Bellas’ Filming a TV being shown on a TV. Can you talk a little about the connection with each of the works in relationship with one another? 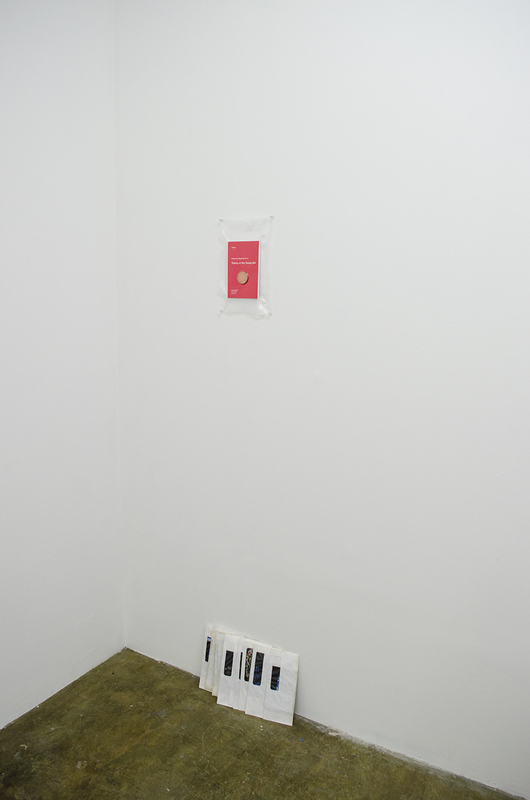 PM: For example, in Brad Troemel’s TSA No Fly List series, by vacuum sealing recent leftist writings published by Semiotext(e) together with physical bitcoins, he is dealing with communication (or the lack thereof), the subversion of subversive acts, and the balancing of obscure rhetoric with an even more obscure subculture. 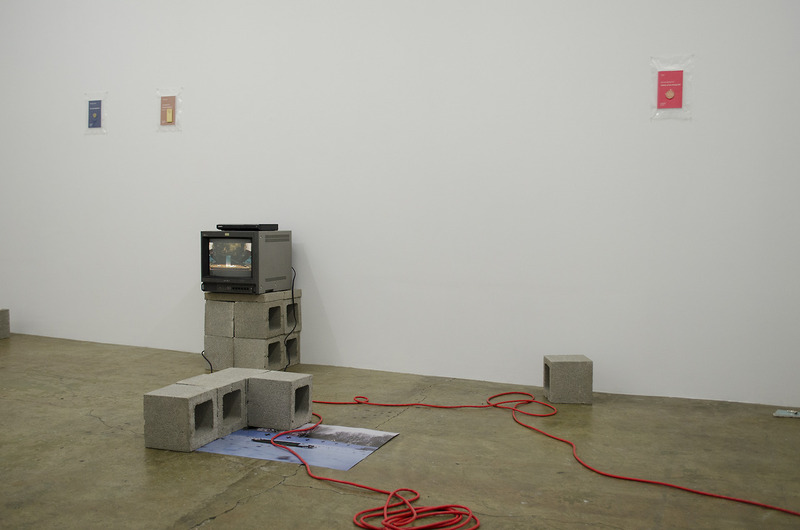 This piece is related to Benjamin Bellas’ video where he knowingly tapes over his only copy of his wedding tape with the episode of Everybody Loves Raymond where Raymond tapes over his only copy of his wedding tape with a New York Jets football game. Benjamin then staged a “living room” set-up and filmed the entirety of the new mash-up work being viewed on a mini TV/VCR combo in HD and we displayed this hybrid video on a flat screen. The deliberate nature of both of these acts combined with the self-awareness to balance autonomy and complicity is not only humorous and perplexing, but very slippery. We felt this initial sort of relationship lucidly illustrated what we are after with this project. 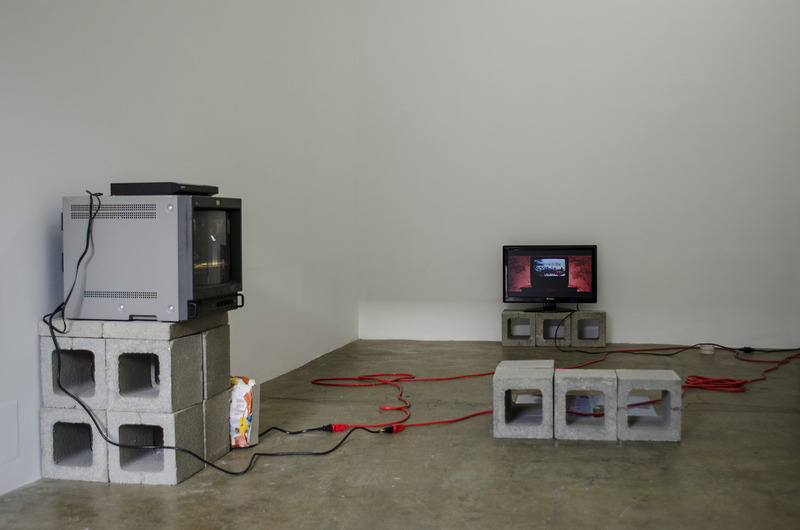 PM: There is also an acute sympathy between Vlad Smolkin’s work and Victoria Fu’s. Vlad’s intensely elaborate investigation of an abandoned private pool near his family’s home is an unexpectedly hopeful work. 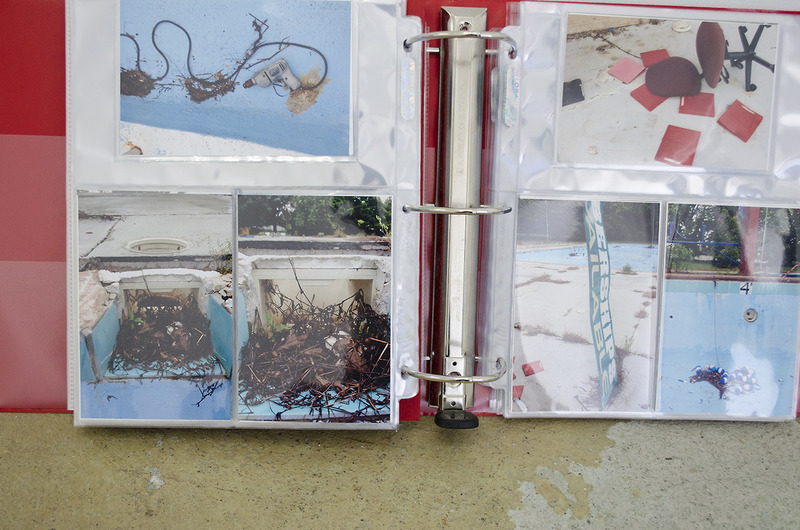 There is a sublime quality and absurdist humor to the unfurling details within his binder of images he took of the pool’s grounds; these are complemented by other mysteriously sourced images, as well as each of the repurposed physical objects he procured from his trips. The slow revelations that come from spending time with his works parallel those that come from watching Victoria’s video of a dancer attempting to create a visual palindrome through planned choreography and reverse footage. This trancelike work is emblematic of the show’s premise; it is symbolic in that the three of us are planning, choreographing,responding, and retracing our steps throughout this show. All photos courtesy of Picture Menu. F: I think a key line in one of your emails is “Viewers and Rachel are subjects, players.” How do you define each of your roles in this project? PM: What we are pointing at in this show is an exposed process wherein curation is made vulnerable to time, change, and distance. 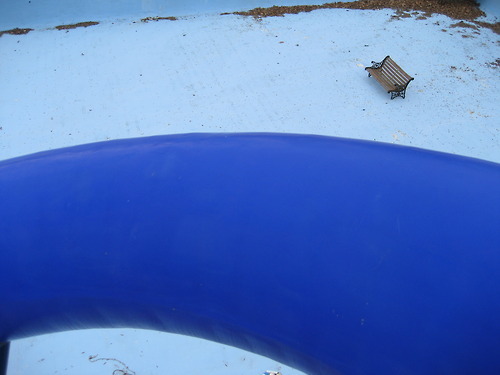 Meanings accrue between objects and images as they are displaced. The idea of curatorial “vision” becomes deflated as new iterations pile up, and the notion of physically locating the show becomes irrelevant as our prose breaks apart in both misunderstanding and deliberate rearrangement. 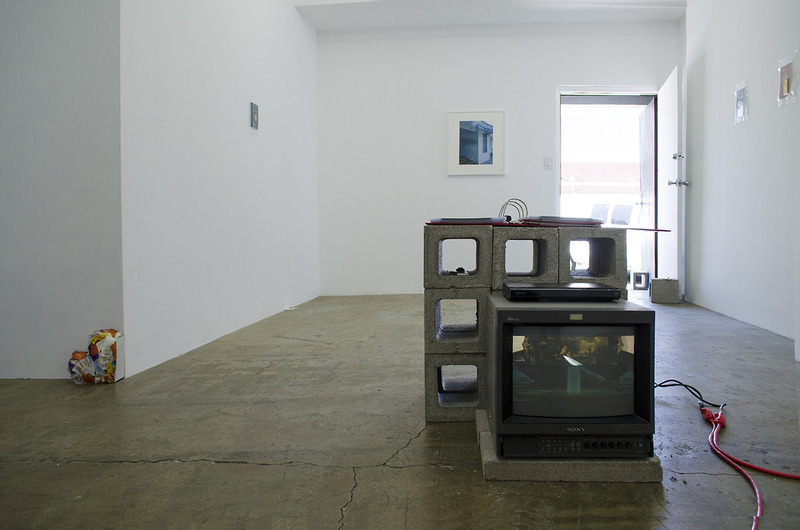 Elastic de facto is up until August 17 at Carter & Citizen, 2648 La Cienega Ave. Los Angeles, CA 90034. You can see more of Picture Menu’s process at www.picturemenu.org.